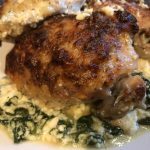 This delicious chicken with Alfredo sauce (see recipe) over cheesy creamed spinach made a great high fat meal. 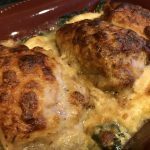 This recipe used de-boned chicken thighs that came out tender and tasty with all the great seasoning. Season and brown chicken in skillet with oil. No need to cook thoroughly. 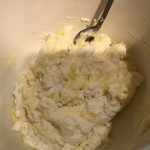 Prepare cheese mix - combine all ingredients of cheese mix and stir until blended together. 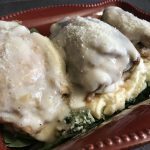 In a baking dish, layer spinach on bottom. Spoon cheese mixture over top. 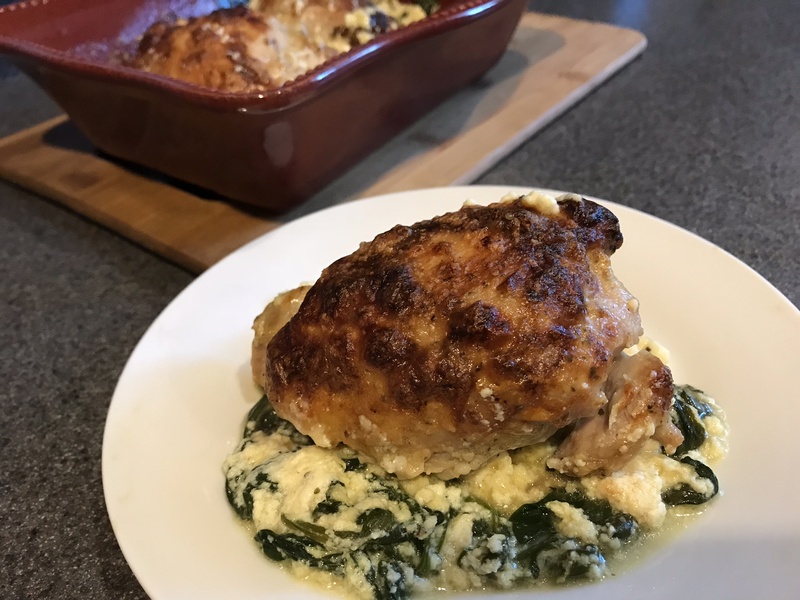 Then add chicken thighs. Sprinkle with some Mozzarella and Parmesan cheese on top.